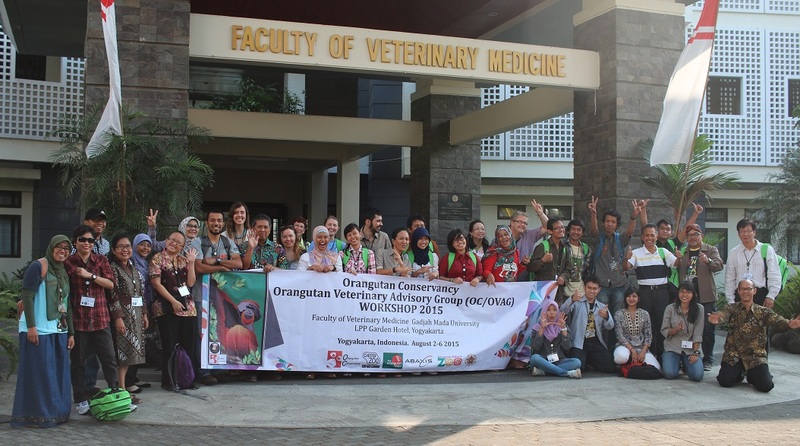 The 7th Annual OC/OVAG Veterinary Workshop, recently held in energetic Yogyakarta Indonesia, has concluded after a whirlwind week of presentations, clinics, team building exercises and labs. The once a year event, co-sponsored by the Orangutan Conservancy and our friends at the Chester Zoo, was the largest gathering yet with upwards of 60 attendees on some days. 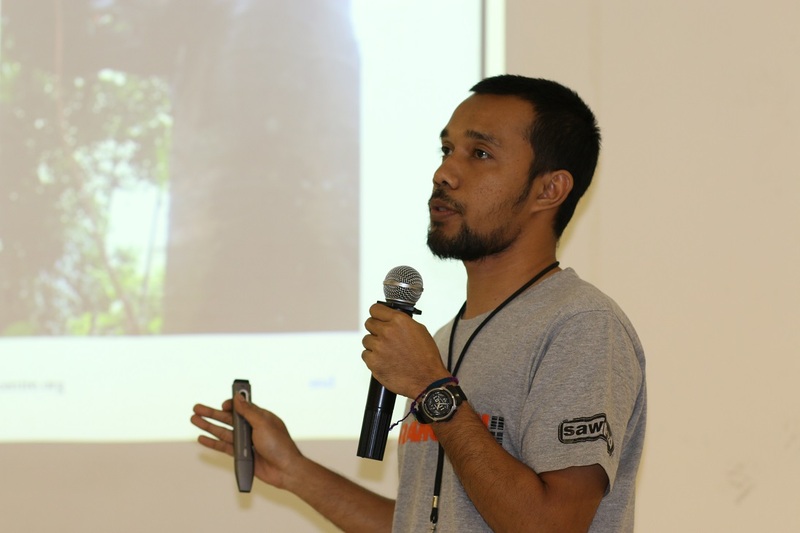 Not only did we have a large contingent of Indonesian wildlife veterinarians in attendance but OC/OVAG 2015 also saw rescue and rehabilitation center managers joining us this time out, along with some international vets to partake and learn more about captive and wild orangutans as well. Seeing the annual event firsthand was a real eye opener as the schedule was a busy one from day to night. Over the five-day timeframe, there was enough information and strategies being shared to fill a laptop – knowledge that each attendee will utilize for the hard work ahead. The vets obviously have a real affection for each other that is strengthened each year and that bond connects each of them in numerous ways. As one told me, “This is really the only time we can be together to share.” And that they did as these orangutan experts from the frontlines presented case studies and firsthand accounts to each other at both the workshop LPP Garden Hotel event central location and at the Veterinary Medicine campus at the University of Gadjah Maja not far away. The Internet also helps the vets to stay in touch once they all head back to their centers, but there’s no substitute for being together in the same place each year. The work week at OC/OVAG 2015 began with a presentation to the Dean of the University’s Vet School, followed by days of activities that included a parisitology lab, a practical CPR lesson for resuscitating orangutans (with BeeGees soundtrack for tempo), an exciting role-playing exercise between vets-managers-and communications teams recreating a forest crisis situation in order to improve strategies when the real thing occurs, while the lighter aspects of the schedule included a tour of cultural Yogyakarta and an after-hours vet auction for medical supplies that were bid on not with money but with colorful stories from the field. Perhaps the real highlight of the week, though, was that this was the first year that the Indonesian orangutan vets themselves took full control of running the show. 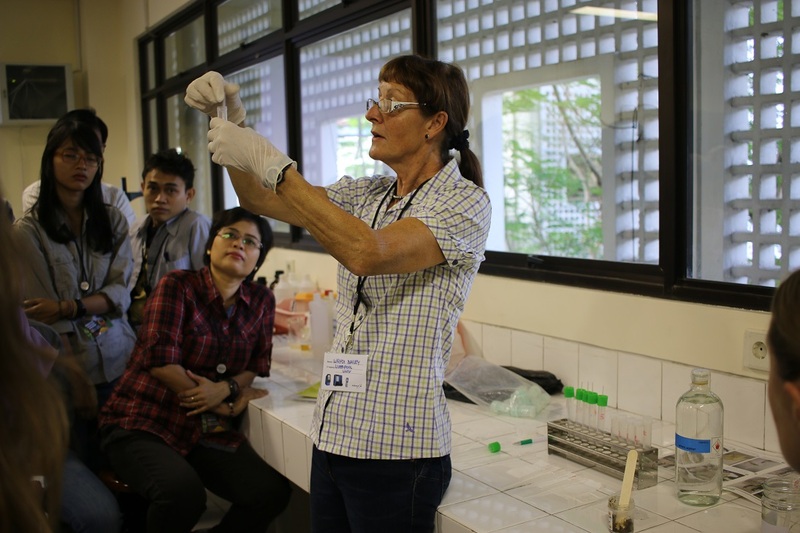 Under the tutelage of OC’s Dr. Raffaella Commitante and Chester’s Dr. Steve Unwin for these past seven years, in 2015 the OVAG organizing committee made up of four in-situ orangutan specialists took the reigns of the event, and they did a terrific job in planning and running the busy five-day workshop. Kudos to Siska, Citra and Yenny and Ricko for a seamless transition. The future looks bright for the OC/OVAG Veterinary Workshop! In the coming weeks we’ll be showing video clips from several of the events at this year’s workshop. Stay tuned. And if you want to feel a bit of the energy from the workshop here’s a quick hello from the vets themselves. On a personal note, this was the first workshop that I’ve attended and it was a real pleasure to meet so many dedicated, wonderful people that work day in and day out, often in over-burdened facilities with little funding or outside support, to ensure the survival of both captive and wild orangutans. Thank you all for what you do throughout the year for orangutan conservation.